Zootopia is a place where no matter what you are from the biggest elephant to the smallest shrew, you can be anything. But when rookie officer Judy Hopps arrives, she discovers that being the first bunny on a police force of big, tough animals isn’t so easy. Determined to prove herself, she jumps at the opportunity to crack a case, even if it means partnering with Nick Wilde - a fast-talking, scam-artist fox to solve a mystery. There is intrigue and subterfuge from her immediate bosses and you are never quite sure who to trust along the way. There is so much more to this film than a simple story, with a constant stream of visual humour and a script that never ceases to amaze, with sarcasm and wit playing a big part in the successful formula. Who would have thought that the head of the ‘mob’ is played by a tiny shrew and his henchmen are polar bears and that is what keeps you doubling over with laughter. We have never laughed so much and so often in a long while and the story is as entertaining for adults as it is for children. At its core it is a buddy movie where the buddies are natural enemies by definition and the fact that they don’t get a long is what gives funny fodder for the story and gags. The animation is superb and the producer Clark Spencer is proud that the team spent 18 months just researching animals and the end result is a vast and detailed world populated with 64 different species of animals that retain what makes each animal so amazing in the real world but these animals talk and wear pants! 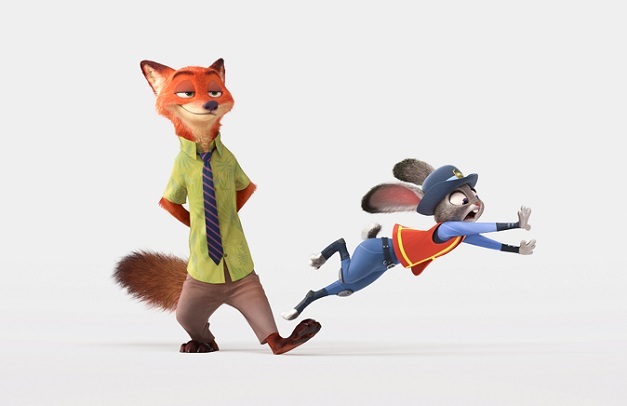 <Zootopia> features a remarkable roster of voice talent tapped to help bring the mammal metropolis to life, including Ginnifer Goodwin ABC’s <Once Upon a Time>, <Something Borrowed>, <Walk The Line> as rookie rabbit officer Judy Hopps. Jason Bateman <Horrible Bosses 2>, <This is Where I Leave You> voices the con-artist fox, Nick Wilde. 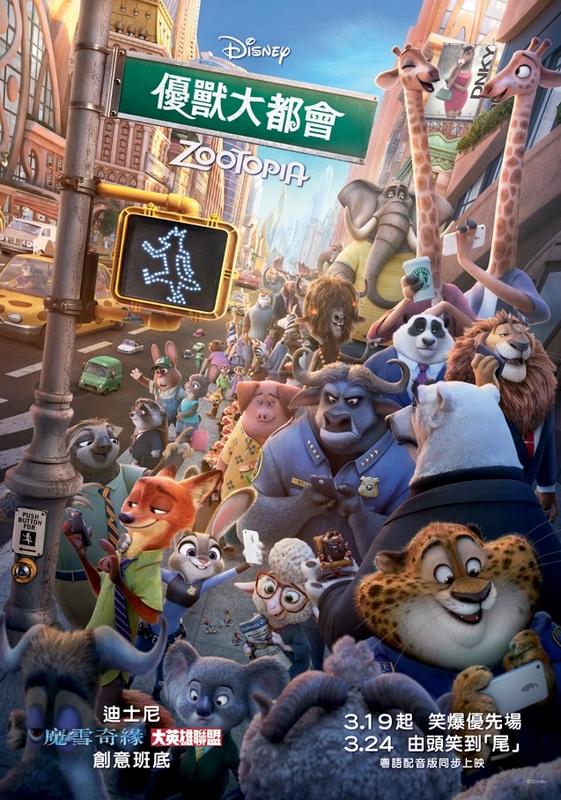 Also included in the voice cast are Idris Elba as Judy’s no-nonsense cape buffalo boss Chief Bogo, Jenny Slate as Assistant Mayor Bellwether, Nate Torrence as charming cheetah Clawhauser, and Bonnie Hunt and Don Lake as Judy’s anxious, but supportive parents. Some other surprises are Tommy Chong as Yax the Yak, J.K. Simmons as Mayor Lionheart, Octavia Spencer as the distraught Mrs. Otterton and Shakira as Zootopia’s biggest international pop star, Gazelle. Filmmakers strived to strike the right balance in the story. The goal from the beginning was to tell a very rich story that’s entertaining, has heart and says something meaningful. No matter who are the voices behind the animated animals, each actor creates something special, as you are completely smitten with each character and it creates a lot of excitement in the plot development. One scene involving sloths is simply hilarious and what a crazy diversion in the plot line, yet it is the perfect foil to the lead characters haplessness at that point in the story. There is authenticity in each character and animal world depiction, as well as lots of fun and adventure. You will be captivated by this latest addition to the pantheon of great animation that is sure to lead the pack for years to come.